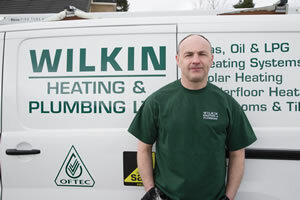 The Wilkin Heating and Plumbing Ltd team is highly trained and offers years of experience to give you peace of mind. As a family business, we strongly believe in excellent customer service with a personal touch – meet the team here. Jane carries out all the company administration, running the diary and all the accounts and wages. Jane also manages the telephones and provides a point of contact for clients with our company. Jane has also been known to diagnose boiler faults over the phone, but lets keep that to ourselves! John Hargreaves | Bathroom Supremo! John has worked together with us for many years. 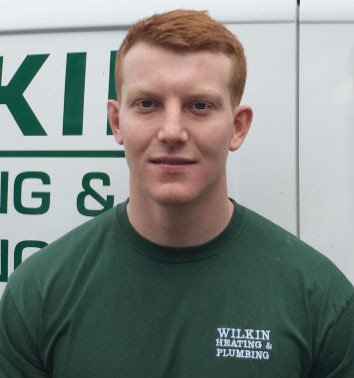 He is (in our slightly biased opinion) one of the best bathroom fitters in the area. His attention to detail is second to none. He also has a particular expertise in underfloor heating systems and a comprehensive knowledge of most plumbing and heating systems, with over 20 years experience. Tom has been with us for 10 years and is our most experienced engineer, qualified to work on all Natural Gas and LPG appliances and, as of May 2018, Oftec registered so that he may carry out oil fired installations. Tom was trained ‘in-house’ by Stewart Wilkin, the founding Director and inspiration behind our company. Tom has a wealth of knowledge in the heating industry and is particularly good at troubleshooting. Jay joined us in August 2017, and is proving to be a valuable member of our team. He is just starting the fourth year of his apprenticeship, studying at Leeds College of Building. 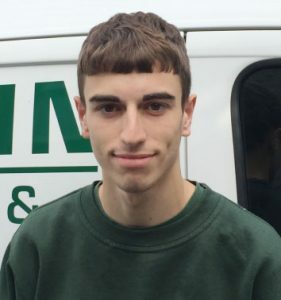 He is trained at Intermediate Level Plumbing and, on completion of his course, will be a fully qualified plumbing and heating engineer. 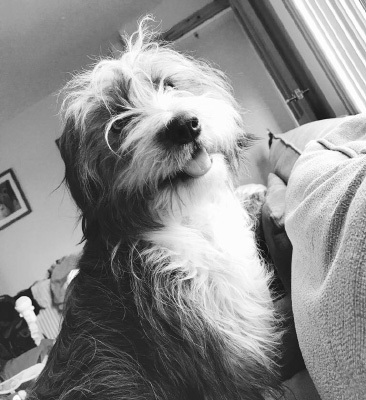 Ollie joined us in August 2016 from school. He is currently in the third year of his apprenticeship at Burnley College and progressing really well. He is a hard-working and much-valued member of our team. 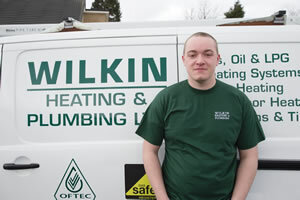 On completion of his course, Ollie will also be a fully qualified plumbing and heating engineer. Gem | Dog with a wonderful waggy welcome for everyone! Gem spends every day in the office with Jane and Andrea – she is particularly fond of lunchtime!